A sport of 'Mrs. Baldwin Wood' originated at Bartlett's Nursery of Fort Valley, Georgia circa 1957. 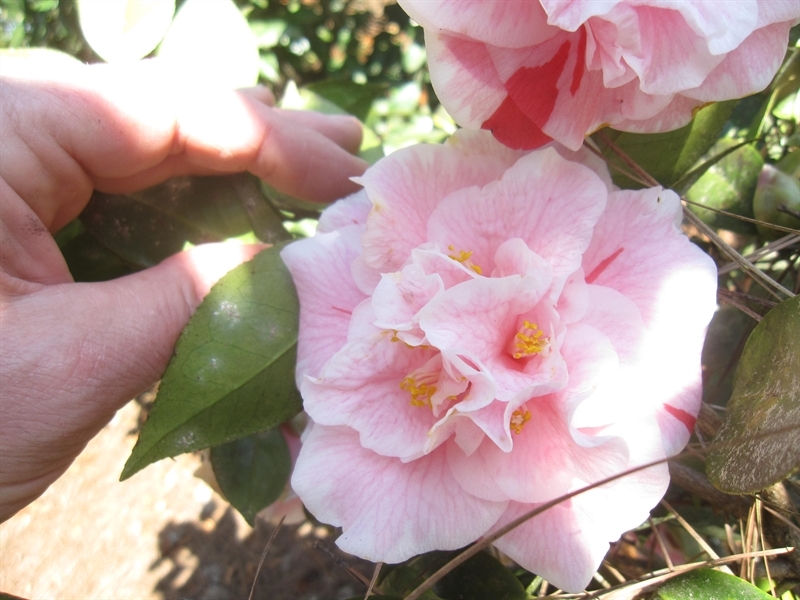 Bloom: Flowers are incomplete double and vary with small petaloids to mixed sizes, 3.5" x 11" across with 53-60 petals. It is moired light pink and bordered white. Plant: Plant growth is average, compact and upright. Leaf: Deep green leaves are thick, oval, crenate and shiny.